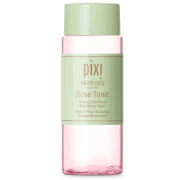 Reveal radiant skin with the PIXI Glow Tonic Holiday Edition, a light and nourishing toner that balances the complexion. Powered by Glycolic Acid to gently buff away dead skin and impurities, the purifying treatment helps to refine the appearance of pores and stimulate cell renewal to create a brighter and clearer canvas. Enriched with Ginseng to improve circulation and Aloe Vera to replenish vital moisture, the hydrating tonic helps to restore a natural balance and soothe the skin. 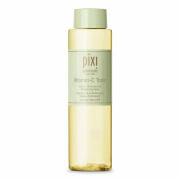 Expect a smooth, energised and glowing finish. Housed in colourful, special edition packaging. Alcohol-free. Not tested on animals. Aqua, Aloe Barbadensis Leaf Juice, Hamamelis Virginiana (Witch Hazel) Leaf Extract, Aesculus Hippocastanum (Horse Chestnut) Seed Extract, Glycolic Acid, Ammonium Glycolate, Glycerin, Butylene Glycol, Hexylene Glycol (and) Fructose (and) Glucose (and) Sucrose (and) Urea (and) Dextrin (and) Alanine (and) Glutamic Acid (and) Aspartic Acid (and) Hexyl Nicotinate, Panax Ginseng Root Extract, Phenoxyethanol, Sodium Benzoate, Biotin, Polysorbate 20, Fragrance.